Four of the twelve pieces that are featured at this years “Dive Into Time” event In Florence feature a slimmed down version of the iconic 1950’s case. 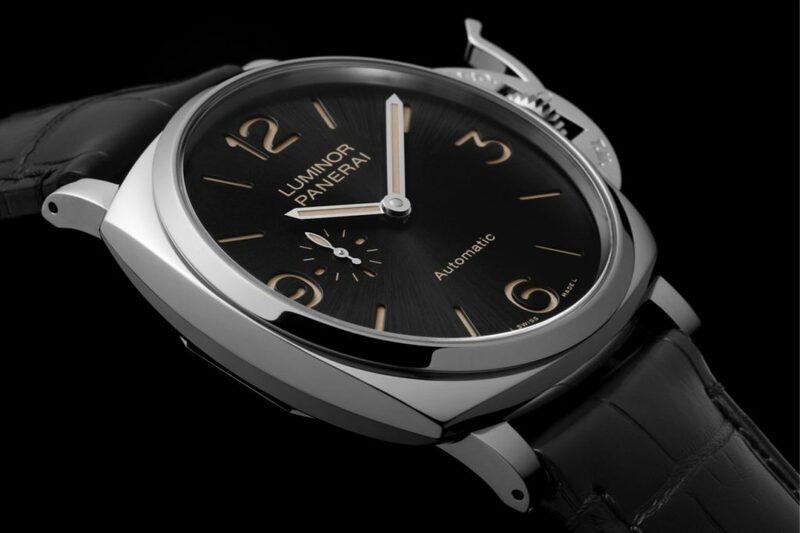 This new collection which has been named the Panerai Luminor Due feature the PAM676, PAM677, PAM674, PAM675, and are the next chapter in their history. “Due”, which is Italian for two, serves the purpose of the new iteration of the 1950’s case which we have grown to love over the years. The first Panerai I purchased was a PAM312 and one of the main reasons was the case design. Over time the one thing that I always felt needed a revamp was the thickness of the actual case. It was very top heavy in my opinion and I started to love the slightly thinner versions of the 195o’s case that were used in the PAM233 for instance. Granted those were manual wind models that didn’t need the extra rotor and components allowing it to be slightly thinner. With the introduction of the Luminor Due, they have merged the best of both worlds into a piece with a more contemporary feel while sticking to their historic roots. 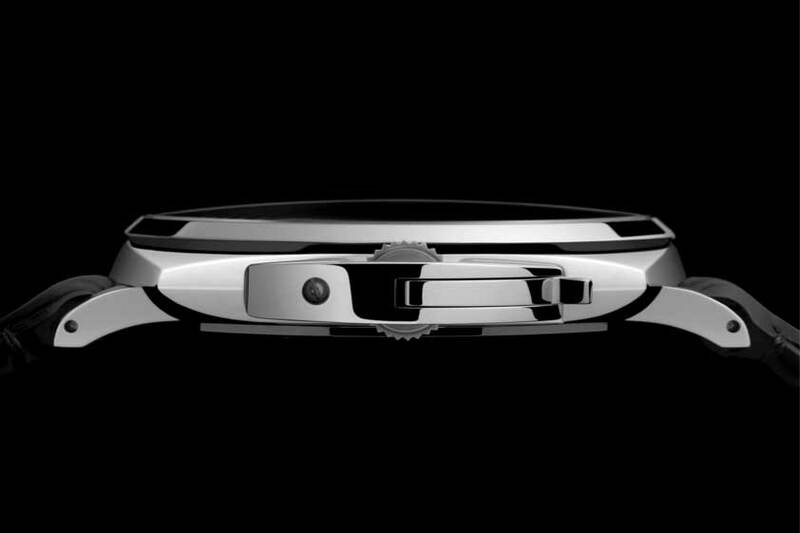 The latest iteration of the 1950’s case is up to 40% thinner than previous models. All four models measure a mere 10.5mm thick (The PAM312 measures close to 18mm for comparison) with the PAM676 & PAM677 having a 42mm case and the PAM674 & PAM675 featuring a 45mm case. 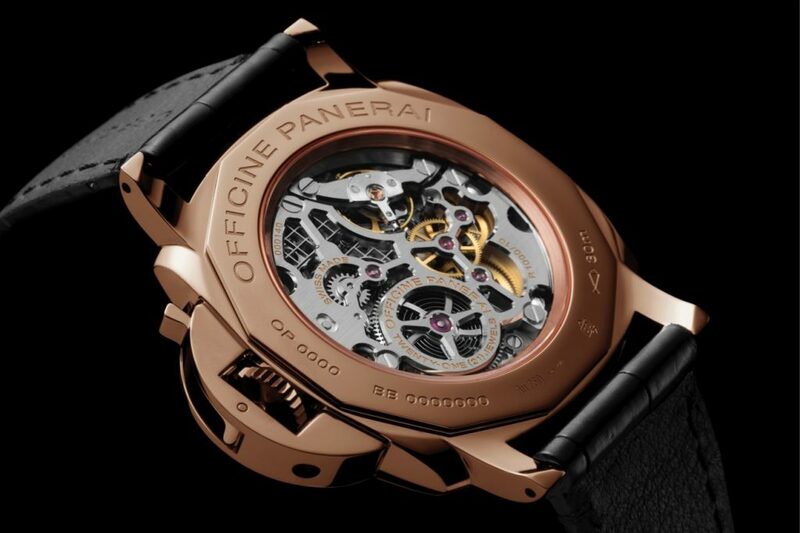 These models now take their place as the thinnest Luminor case every created by Officine Panerai. By thinning out the case they have opened to door to many new enthusiasts that otherwise would have shied away from the brand due to the larger size of the Luminor case. For a long time, Panerai patrons only had the option of buying a Radiomir or Radiomir 1940’s case if they wanted to have a slimmer watch to fit under the cuff or not be as pronounced. The downside to that is that many consumers love the iconic look of the crown guard on the Luminor models. Now the buyer can truly have the best of both worlds in 2 different case sizes. The Luminor Due will initially start out with four models, the PAM676 & PAM674 which will in AISI 316L stainless Steel or the PAM677 & PAM675 in red gold. 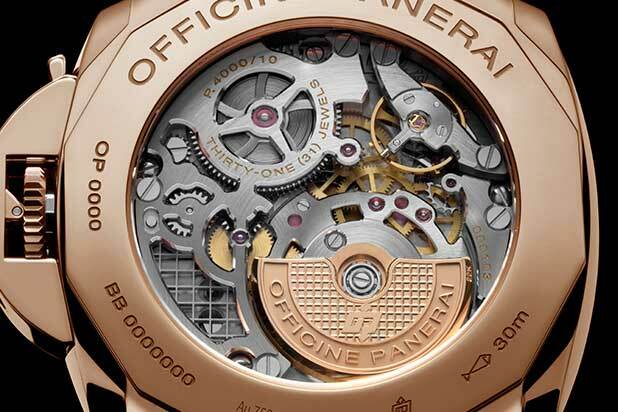 All the models feature my favorite dial finish offered by Panerai, the satiné solei. The steel versions feature a black version while the red gold will feature a grey one. Each models feature a very minimalistic sandwich dial that is a signature of Panerai watches featuring only the time and a sub-second dial at the 9 o’clock position. 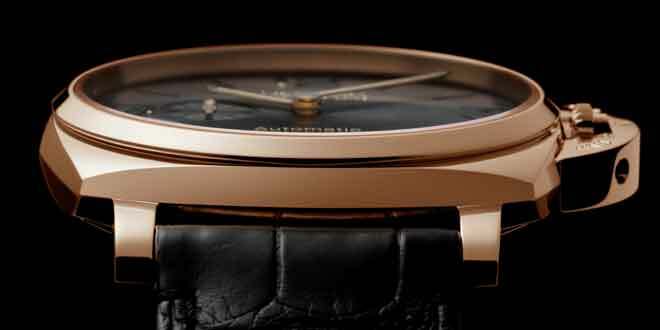 At the heart of these models are 2 base movements with 2 variations of them featured in the red gold models. The PAM676 will feature the P.1000 hand wound 3 days movement while the PAM676 will feature the first ever skeletonized version of this movement, the P.1000/10. Showcased behind the sapphire crystal the PAM674 will feature the P.4000 automatic micro rotor movement while the PAM675 Red Gold version will have a skeletonized version which will be named the P.4000/10 and will feature a 22 karat micro rotor Clous de Paris decoration. The retail prices for the Panerai Luminor Due series will be as follows in USD. Click on any of the Watch models to see the full photo gallery for that particular watch.